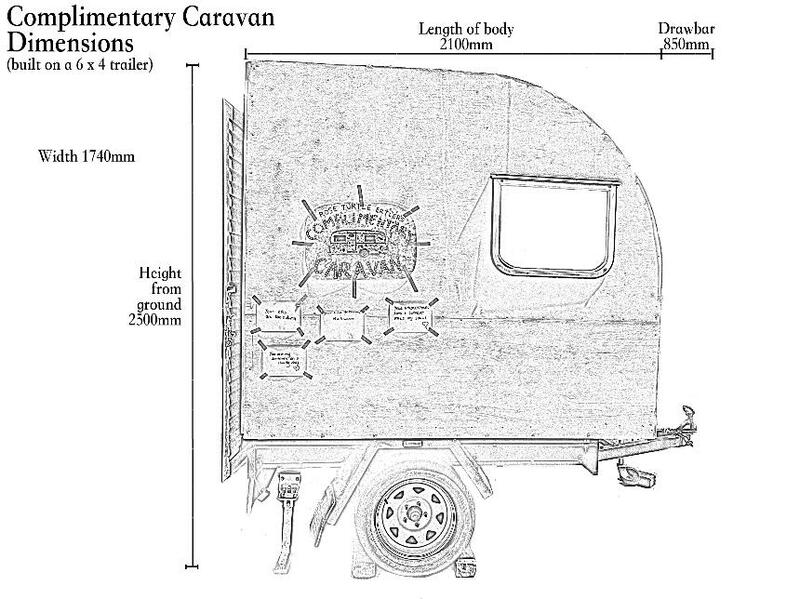 The Complimentary Caravan is suitable for festivals and other outdoor events. It just requires flat ground, preferably in a shady spot. A small table with umbrella is set up next to the caravan for visitors to sit at. In the daytime, we don't need access to power. Battery powered speakers are used. In the night time, sometimes we like to project compliments on the side of the caravan. For this, we'll need access to electricity to run the video projector.